metabolism. 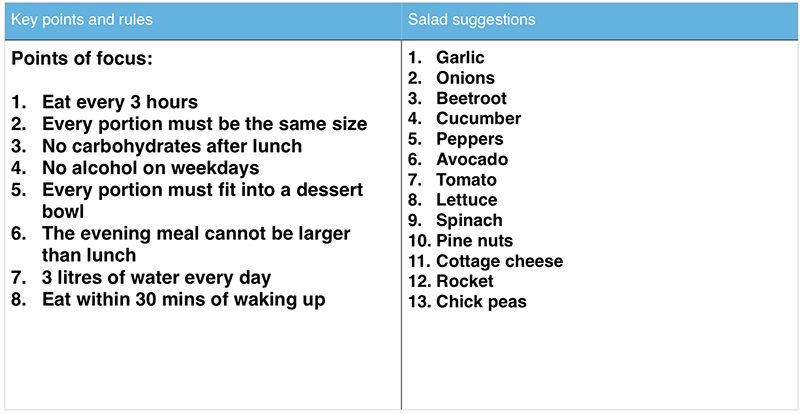 This is dictated by movement, genetics and frequency of eating. Nutritionists have simply played the game of eat nothing for 30 days and you’ll be amazing, it sells books especially when it’s endorsed by a celebrity. The term ‘Diet’ means a temporary solution that has no longevity in a productive lifestyle over a sustained period of time. We believe diets for the large majority of people are pointless. This just highlights the massive rush we are in as individuals, it’s not about tomorrow or next week it’s about the rest of your life and continual progress. Sure, you want to lose weight yesterday, that’s fine but do it properly or 1 year from now I guarantee you will be in the same place you were when you started. We provide tailored nutrition plans that are based on 5 days of clean eating (Monday – Friday) and 2 days of relax eating (Saturday – Sunday). Why? Because it is totally sustainable over a long period of time if not forever. If you have the weekends to relax on nutrition you are only a few days away from being able to have chocolate etc. Losing weight and nutrition is much like a game, if you play by the rules and do it consistently over a period of time you will win. Our plans are designed for you based on you in your life with realistic options and times of eating. 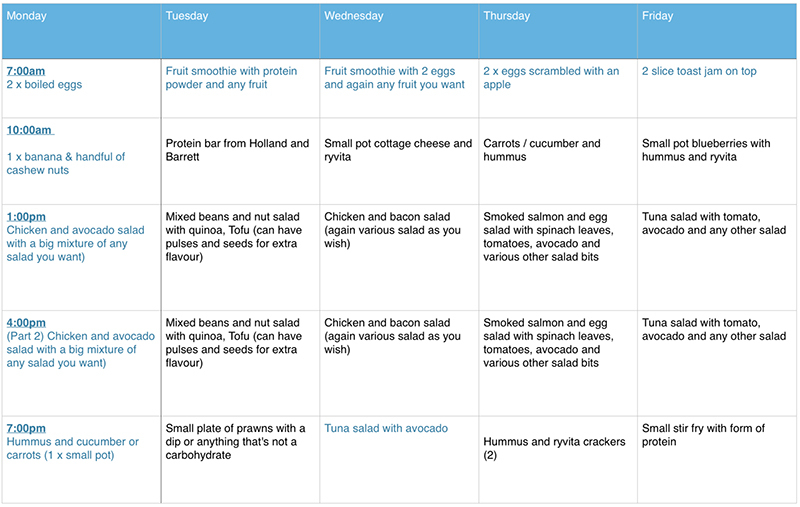 The below table is a guideline of how someone might want to arrange their week nutritionally.